Areas protected by the seven Nike Ajax sites that were located around Providence, Rhode Island during the Cold War. 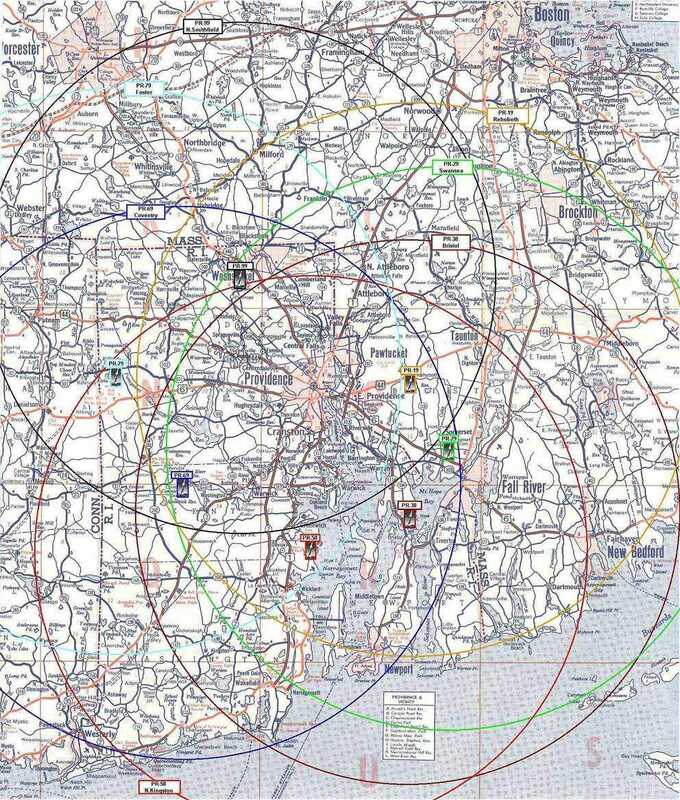 *** *** *** *** *** *** *** *** *** *** Each circle is coverage approximately 25 miles from it's respective Ajax Nike site. The coverage for Nike Hercules would extend the circle out another 50 miles.